The Elk & CDC is deceptive in its simplicity. 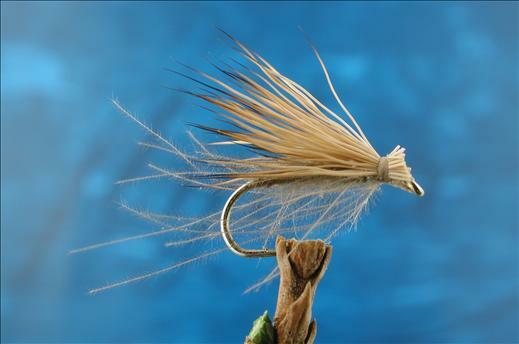 It is a very effective versatile pattern that is much more than just a caddis imitation. This fly is deadly, the hair wing provides the illusion of movement and the tendrils of CDC which spread in all directions suggest all manner of things, as well as giving movement and life. It is buoyant, appears buggy and has a stimulating wing silhouette. Thread: Brown UNI 8/0 . Body/legs: CDC Type 1 feather, tied in by the tip and palmered . Currently there are no comments about the Elk & CDC fly pattern from other fly fishermen yet.